I planted this in a rather exposed part of the garden, windy and dry. It is alive, not growing as fast as it should but I'm confident in time it will establish itself as it is hardy and healthy. Leaves are prickly but beautiful in shape and colour. I hope it flowers this year so the bees get to feed on them but it's only been planted less than a year so. As I only acquired the plant in the summer I have yet to experience its flowering, which is why I only gave 4 stars instead of 5. However, judging by the plant's overall health and the good growth it put on in its first season I've got great hopes for a good display later on this spring. Lovely plant, which arrived in excellent condition. It's over wintered very well and is covered in new leaves and tiny buds of blossom, waiting to burst into colour in a few weeks. I wanted plants to fill a gap, and that is exactly what the Berberis does. Hello there Yes Mahonia, Berberis darwinii, and Pyracantha should be fine as they are all tough plants that will tolerate an east facing site, and light shade. Hope this helps. Hello I am in need of screening for privacy ASAP. 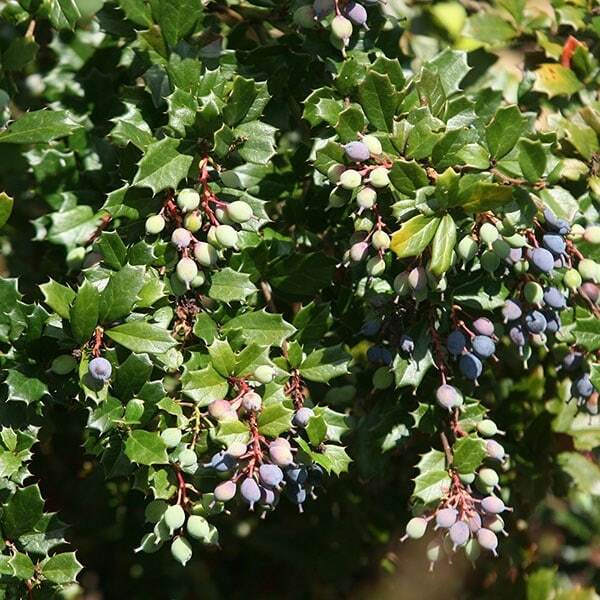 Please can you tell me if Berberis darwinii could be planted in a large tank (275 litres) in a very windy coastal location (SW England? If so when should I plant and how many plants will I need for an area of 0.5 sq.metre? Hello, These are pretty tough plants so they should be fine in the conditions you described, provided they are kept well fed and watered. Now is an ideal time to plant, and as they have an eventual height and spread of 3m, you should only need one plant. Can you please advise as to the best time to plant this into a border? Thanks. Hello, These plants are pretty tolerant of most conditions including poor soils, however if you want the hedge to flourish, you should dig in lots of composted organic matter before you plant. As for how many you will need, to create a nice dense screen, I would recommend planting them at 45cm intervals. The width of fence panels do vary, but if you have ones that are 180cm wide, then you will need 14 plants to cover the 6.3m length. How big are your Berberis darwinii plants? 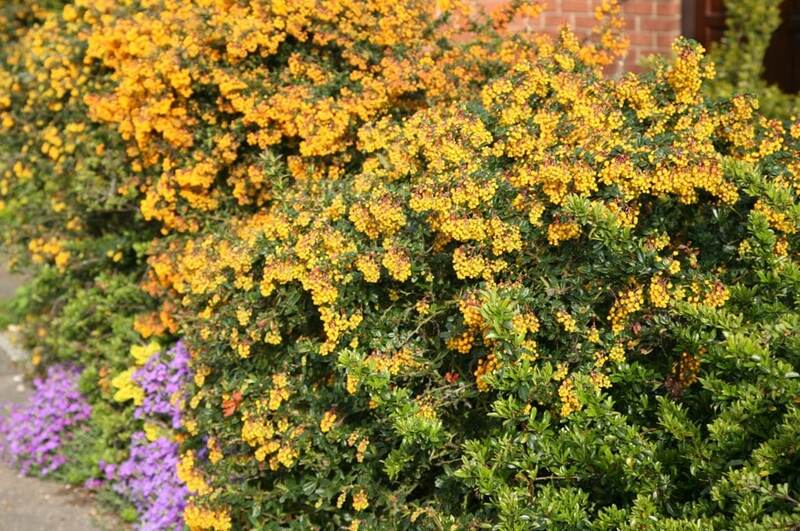 I am thinking of getting one or two Berberis darwinii. Can you give me the approximate size of your plants? It is difficult to be precise, but these plants would be approximately 25-30cm tall at time of sale.